B. Thomas (Arlington, Texas, United States) on 14 November 2018 in Landscape & Rural. 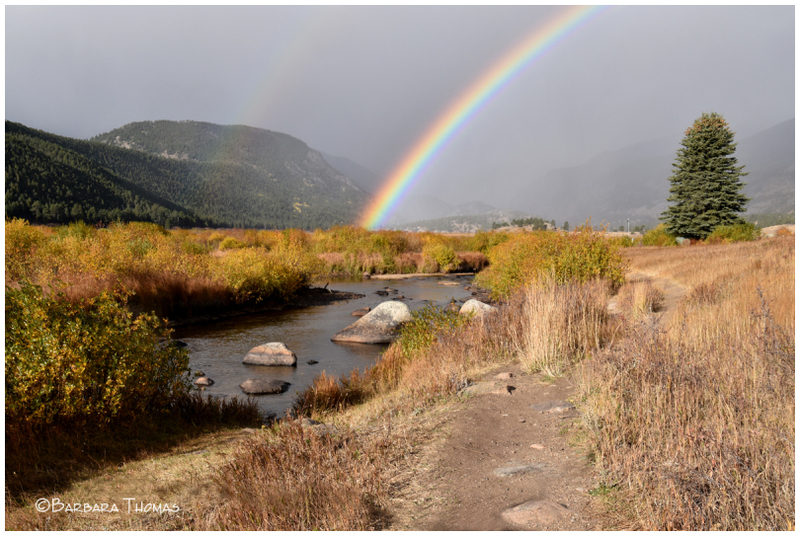 This is the fourth rainbow from Rocky Mountain National Park in October. That was one nice thing about the rainy days that we enjoyed. this landscape with the invitation of the rainbow, is absolutely fabulous. Any disadvantage has its advantage, right? . . another pot of gold . .
A superb capture. A very nice scene well captured. Vivid! And a second rainbow barely visible. Lovely! Another beautiful capture with the colors being so very strong!! The landscape is just beautiful. A gorgeous rainbow! It is hard for a rainbow not to put on a smile on someone's face, even if it happens during heavy rain. Wonderful photo with the rainbow adding a lovely element to the scene. A perfect combination of rain and sun. A super rainbow. such beautiful composition, colors & lights!